While I'm not big on shopping for clothing anymore, I still love shopping for kitchen gadgets and serving dishes for my home. Recently, I told you that Linen Chest was adding a new store in the GTA. In celebration, all of the GTA stores held a grand opening sale. I hit the sale that weekend and found a few special new items for my kitchen. 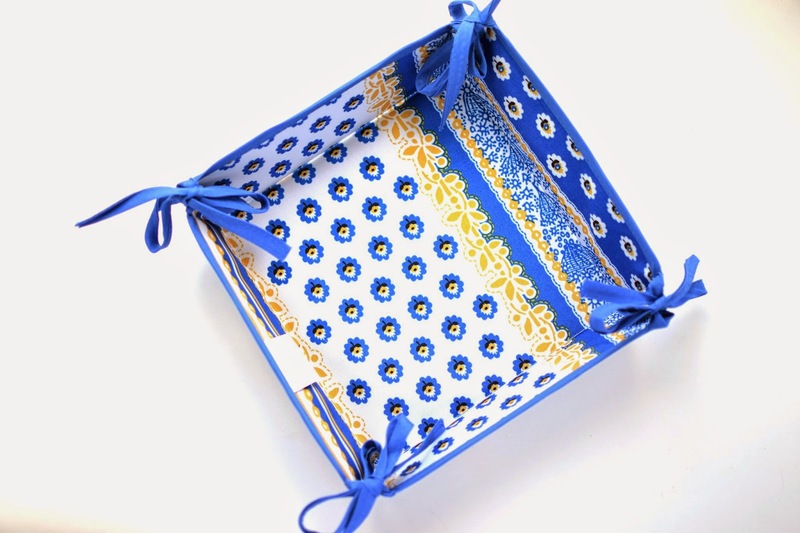 This Fleur-de-Neme bread basket in blue will add a lovely touch of French living to my patio this summer. In addition to serving buns, it makes a great holder for pretty summer napkins too. I also bought this Fleur-de-Provence Salad Serving Set in yellow, because I thought it looked so pretty with the bread basket. I have a big blue bowl for salad that will contrast beautifully with this sunny serving set. 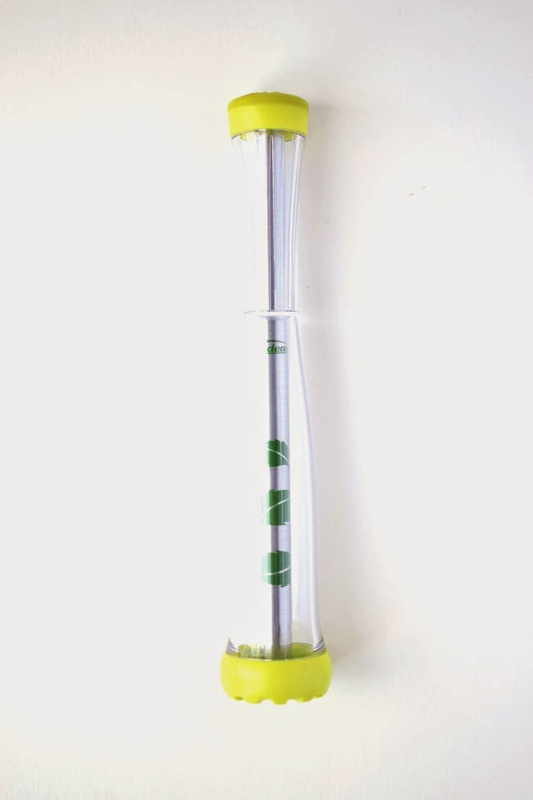 I purchased this fun little item too - it's a Trudeau mojito muddler. It's 8-1/2 inches so it's long enough to mush ingredients in the bottom of most bar glasses. This purchase is not exactly a necessity, but I could have used it a while back when I was making this Strawberry Vodka Cocktail. One kitchen item that I consider an essential is an immersion blender. I use it primarily to blend soups (lentil, potato, etc.) right in the pot. I had a rather crappy plastic immersion blender that was starting to make a pained sound when I turned it on. 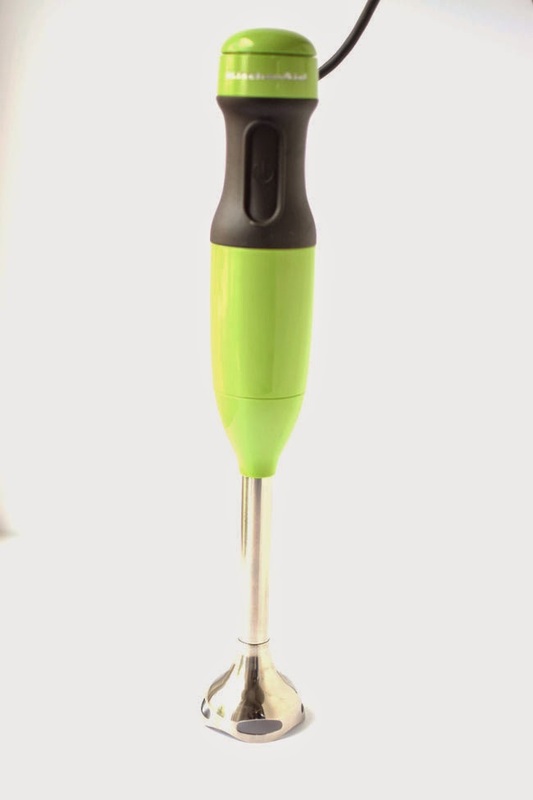 So I have happily replaced it with this KitchenAid 2-speed hand blender in a "green apple" colour. It comes with a lidded cup as well, so you can make smoothies or puddings or whatever else you wish right in the cup. I love this green colour because I like cheery gadgets in the kitchen. Cooking can get repetitive and we have to brighten up the process however we can, right? 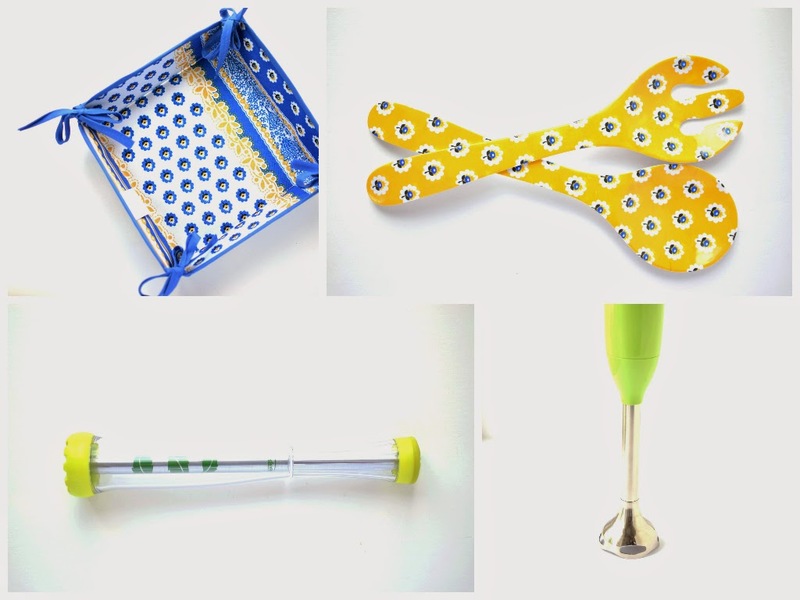 Are you a kitchen gadget enthusiast too? What gadgets do you consider necessities? Lovely! And I love the green of that immersion blender. I bought myself a similar one last week but it only came in white. I love cheery colours in the kitchen, I was drooling over all these orange and yellow appliances recently. 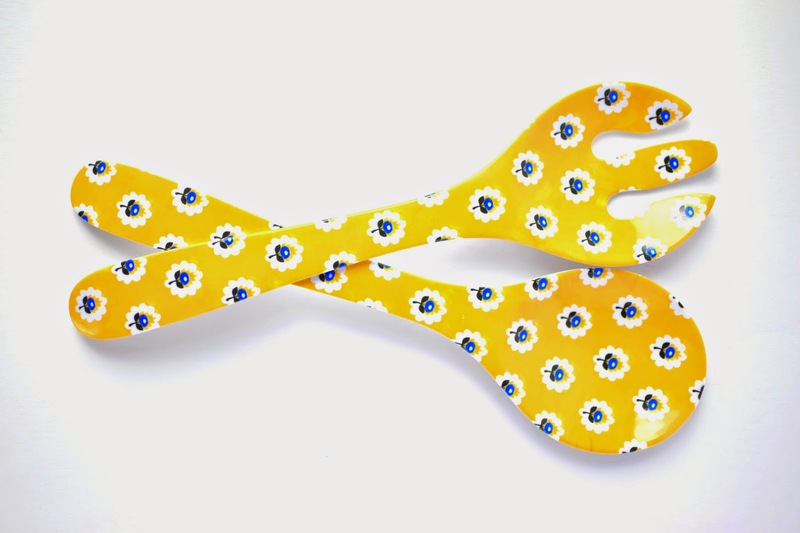 Orange and yellow would be lovely in the kitchen too! I can't pick a single colour, although I tend to have a lot of blue items for some reason. We have that exact same muddler and it has been getting a good workout so far this summer! Whatdya mean it isn't an essential? lol. I recently won a gift card for the Linen Chest but have not headed to the store. You have inspired me to get over there! Those spoons are really cute.